Mark Loe is the owner of Ullman Sails Trinidad. 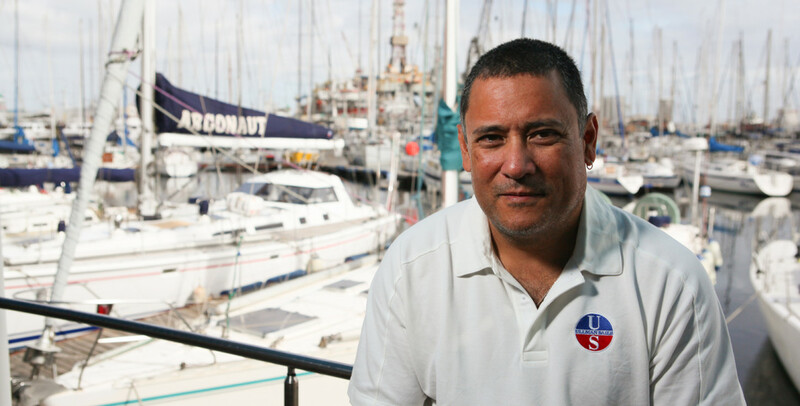 Mark has been a sailmaker since 1995 with a special focus on servicing the Caribbean racing and cruising communities. He grew up in and around boats and the sea as his father was a master mariner, ship’s captain, and marine pilot. He started sailing at the age of 12 and cut his teeth on the same one design boats that most kids race today: Mirror dinghies and lasers. Mark now has a resume that includes sailing on various keelboats and sports boats that have won every major regatta in the Caribbean. He has also raced further afield in US regattas at Block Island Race Week, Key West Race Week and local regattas throughout Florida. In 1996 he started his own sail repair loft, Soca Sails, in Trinidad to provide sail repairs and custom canvas and upholstery. In 2013 Mark partnered Soca Sails with Kent’s Barrow Sails and became a member of the Ullman Sails group in order to better service the Caribbean sailing market. Mark’s enthusiasm for sailing and his customers is infectious. The Ullman Sails Trinidad team has produced quality products and great results for racers and cruisers alike that use their sails.